We are committed to make your shopping experience with us enjoyable. Kindly read through the following terms prior to making your purchase. Through purchasing our merchandises and services would mean that you have acknowledged the following terms, have understood them, and have agreed to abide and adhere to them. - Customers will be contacted via email should we retrieve any bounced parcels bearing their name. - Cost of re-delivering will be borne by the customer. Kara and Kim will bear the cost of re-delivery if it is deemed as an error from our counterpart. - Details regarding the re-delivery will be provided in the email sent to the customer. - Kara and Kim reserves the right to deny any request deemed unreasonable (ie. combine bounced back parcel with new orders or change of delivery country or location). - Any unclaimed bounced back parcel after30 days grace period will be forfeited. - All prices provided on the website are in Malaysian Ringgit. - We accept payments in Malaysian Ringgit only by credit or debit card. We may accept other forms of payment from time to time, which will be clearly indicated on our website. - Kara and Kim aims to dispatch items within 48 hours of receiving the order (if accepted). Our office hours for shipping are from 10am to 5pm, Monday to Friday. Please note that estimated delivery time is to be used as a guide only and commences from the date of dispatch. - For payment of item on website, you confirm that the credit or debit card that is being used is yours or that you have been specifically authorized by the owner of the credit or debit card to use it. All credit or debit card holders are subject to validation checks and authorization by the card issuer. 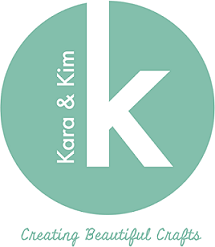 If the issuer of your credit or debit card refuses to authorize payment to Kara and Kim, we will not be responsible or liable for any delay or non-delivery. - Save to the extend required by law, we shall not be liable for any inaccuracy, error, mis-description or omission in any description of an item marketed on the website or otherwise. - To the fullest extent permitted by law, we shall not be liable to you under these Terms for any loss of profits, loss of business opportunity, wasted expenditure, goodwill, reputation or revenue or for any indirect consequential or economic loss or damage whatsoever however arising out of or in connection with these Terms or the performance of the Agreement or any breach of the Terms or Agreement by us. - Our aggregate liability to you under these Terms shall be limited to a sum equivalent to the total value of your order. - We shall not be liable to you for any loss or damage arising as a result of us being preventing from performing our obligations under these Terms by reasons of circumstances beyond our reasonable control.